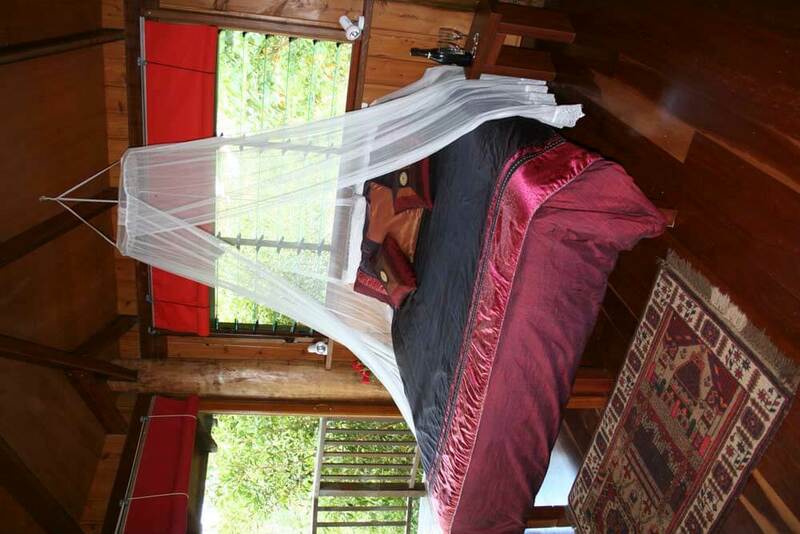 Rose Gums is a four star retreat situated on the coastal mountain ranges on the Cairns Highlands / Atherton Tablelands, adjoining World Heritage Wooroonooran National Park, a comfortable one and a half hour drive from Cairns. 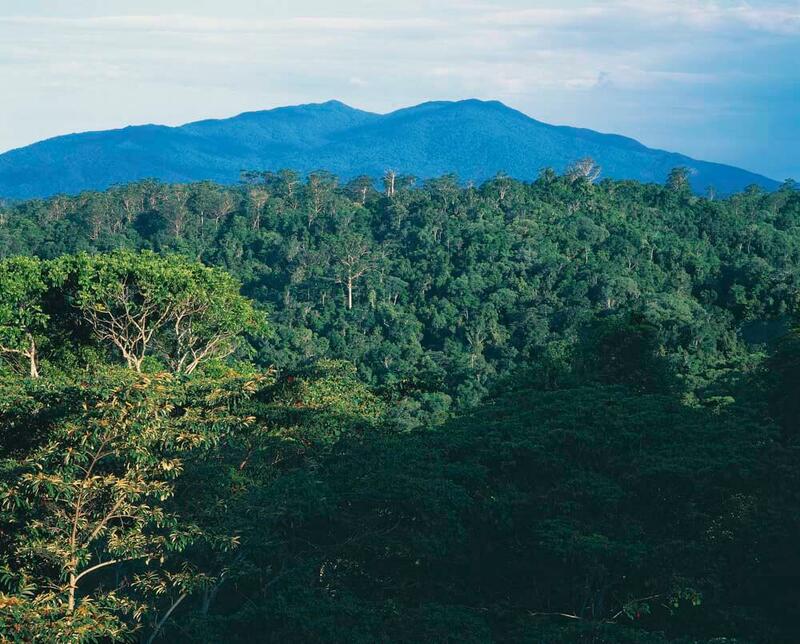 The retreat is a unique nature lover’s paradise where the cool tropical climate is enhanced by the pole and timber treehouse accommodation with views of the spectacular ra inforest and mountain scenery. Offering total privacy, guests can explore the walking tracks through the two hundred and thirty acre property and discover platypus in the pristine ra inforest creeks with the abundant wildlife including over one hundred and sixty bird species. 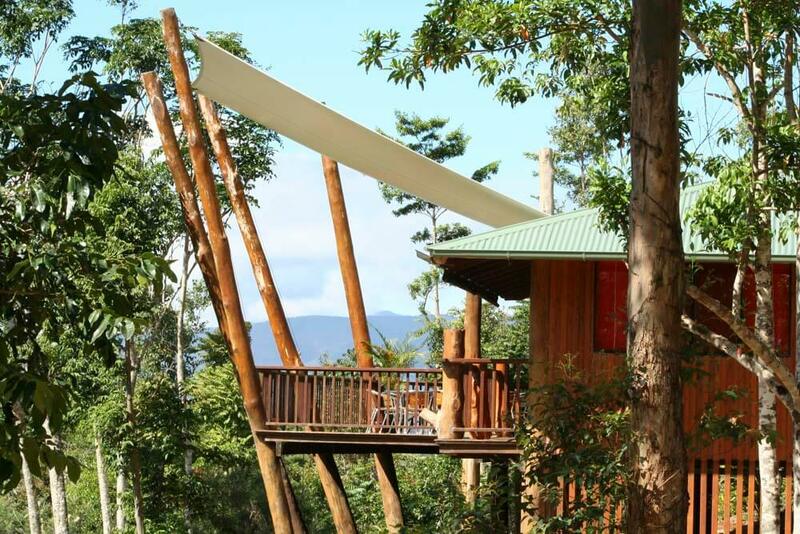 The retreat features Studio and Two Bedroom Treehouses. Each Treehouse has full kitchen and laundry facilities, spacious living and dining areas, spa bath, wood fireplace and a large balcony. 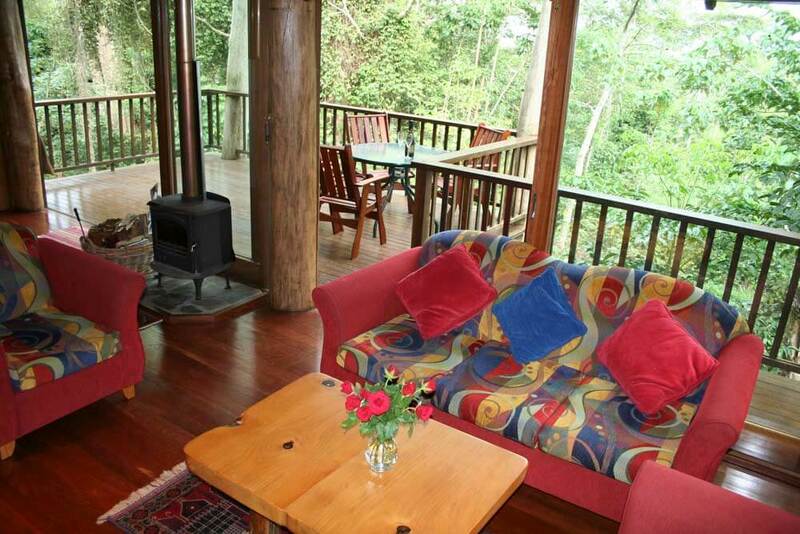 Enjoy an evening meal at Leaf, Rose Gums’ restaurant in the treetops. Bookings are essential and need to be made by 16:00 on the day. If you wish to prepare your own meals it is recommended that you shop before you arrive so that you can enjoy relaxing in the ra inforest. Malanda, fifteen minutes drive away, has a comprehensive choice in its supermarket.